I think this is a very good idea indeed! 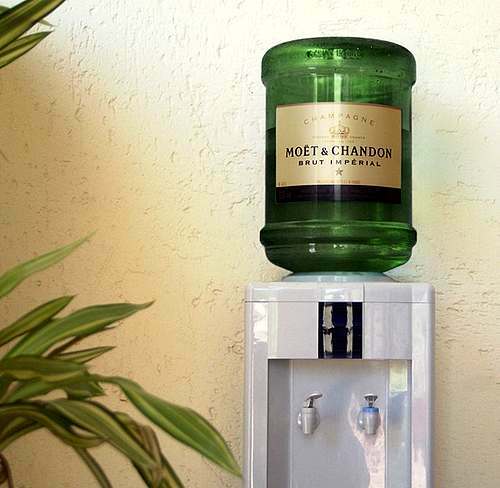 Don't know if it's any good for the office... maybe in the customer lounge? But it's the essential thirst-killer for anyone's country-side castle! Wonder if they make a Cognac one?